For the first time in the history we have six generations four of which are at workplace. Since the generation age spans are shrinking fast we might have more generations to interact both at work place and elsewhere. HR department is entrusted with the responsibility of hiring, retaining & training the manpower and most of the companies follow uniform set of policies across the company. While this was manageable earlier, it is high time the companies starts taking this seriously and cultivate cultural changes that are more flexible and adaptive to these varied generations. 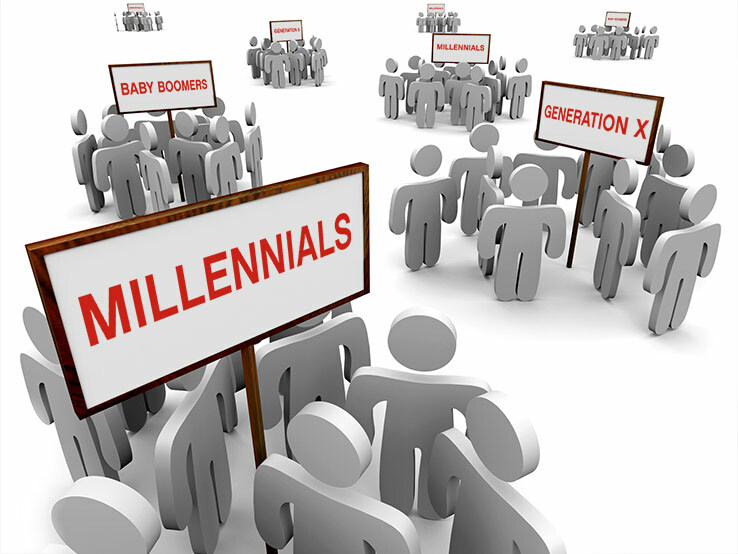 With Baby Boomers exiting workforce there is a talent war between Gen X and the Millennials to fill the leadership roles. Millennials who grew teaching their parents and grandparents how to use smart phones and social networking platforms like Facebook, possess skills and understanding that earlier Generations don’t. At the same time Millennials lack the attention span (attention to detail) that earlier Generations possessed. Millennials are much better at multitasking that their previous Generations and like to be challenged more than their predecessors. The biggest shift will be the way the performance is being managed in the organization. With Boomers preferring once a year (or quarter) feedback to a routine Check-ins (daily/weekly reviews) by the GenX to a completely constant/continuous feedback by the Millennials the way organizations will manage their PMS systems is up for a major revamp. As the baton shifts from Boomers to the Millennials the HR systems currently deployed are bound to become obsolete unless the technology keeps up with the rapid changes in the organization culture driven by the new generation leaders. Mentis has initiated a new Gen version of HRIS that is being developed solely for the new generation leaders. With PMS systems that are no longer driven by the traditional Goal Sheets and Quarterly/Annual appraisals the new Gen Mentis employ latest technologies and handle the shifting thought process.